Set amidst 27 acres of tropical gardens, fronting the best and most exclusive stretch of Kaanapali Beach, the Royal Lahaina Resort is a truly unique Hawaiian Resort. The resort's natural beauty, traditional Hawaiian ambiance, and dedication to five-star service offers guests a timeless and subtle elegance providing for the ultimate in relaxation and tranquility. 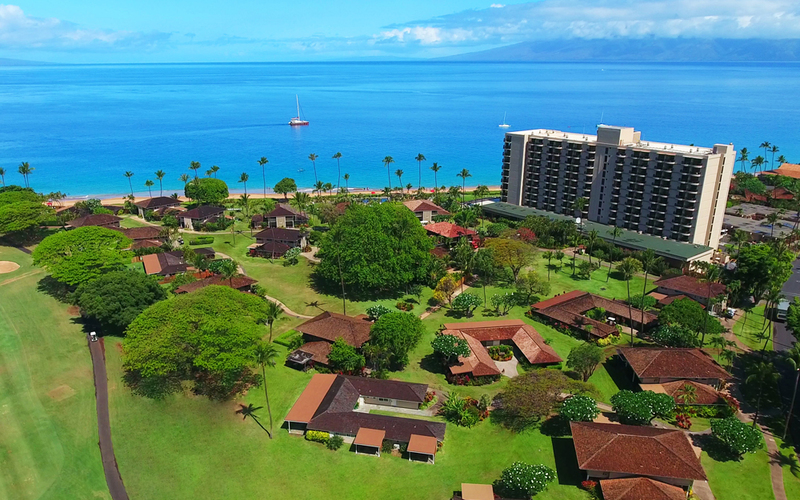 Complemented by the gorgeous Kaanapali Beach setting the resort's guestrooms, suites and cottage accommodations celebrate the artistry, environment and culture of Hawaii. 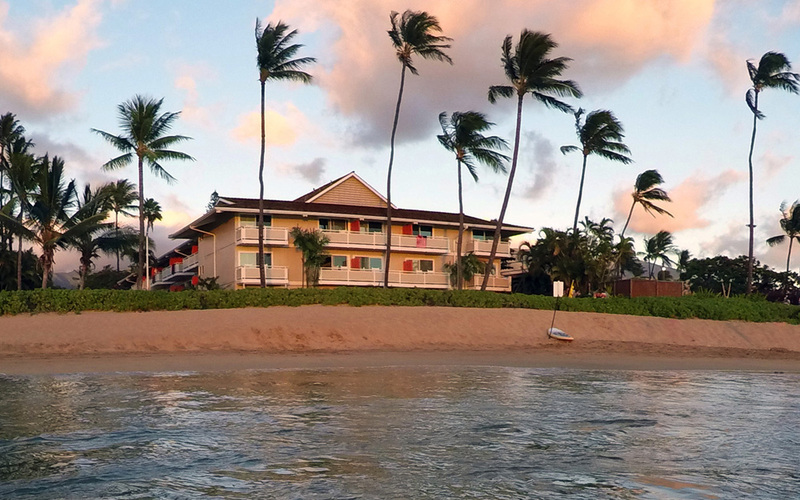 The hotel offers a wide array of guest amenities and services such as resort and cultural programs, fitness center, yoga and pilates classes, spa, Luau show, oceanfront dining, and a nightly torchlighting ceremony accompanied by live Hawaiian music in the lounge. 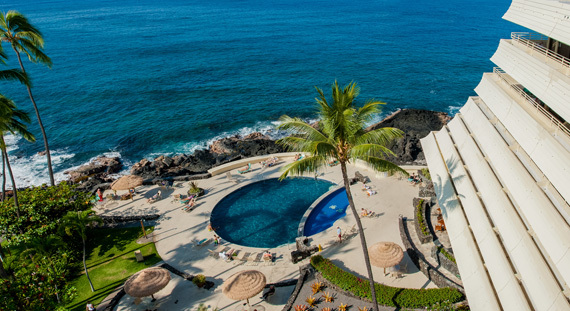 Within walking distance of restaurants, shops, historical sites, and activities the Royal Kona Resort's stunning ocean and sunset views provide a spectacular backdrop for a vacation getaway. Guests enjoy spacious guestrooms featuring beautiful mountain vistas or magnificent ocean views. Amenities include a private saltwater swimming lagoon and beach area, oceanfront pool, tennis courts, spa, meeting facilities, romance center, and wedding services. Dine at the water's edge at Don the Beachcomber signature restaurant or try one of the many unique Mai Tai creations at the adjacent Don's Mai Tai Bar. The resort is also home to the highly popular Voyagers of the Pacific Luau show. This dynamic journey through the history and culture of Hawaii ends in a dramatic fire dance finale that will leave you breathless. 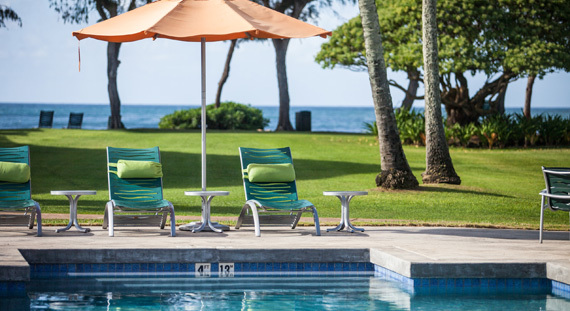 Set on six acres of tropical gardens along a pristine, mile-long stretch of Kauai's Royal Coconut Coast, the Kauai Shores Hotel recently completed a multi-million dollar renovation of its guestrooms and public areas. Each fully remodeled guestroom features a contemporary design with bright decor and modern accents. The hotel offers two freshwater pools, new pool deck and hot tub, a wide-range of amenities including nightly live entertainment, yoga classes, bicycle rentals, activities desk, and more. The hotel is also home to the award-winning Lava Lava Beach Club Restaurant and Lounge, Kauai's only "Toes in the Sand" dining experience. 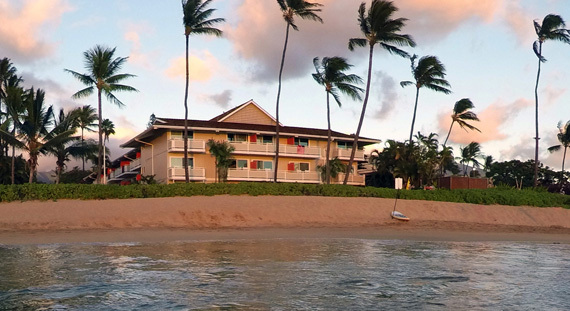 Adjacent to the open-air Coconut Marketplace shops, and a mile from Kapaa Town and the Wailua River, the hotel provides the ideal location for exploring all of Kauai's wonderful attractions and landmarks. The best oceanfront value on Kaanapali Beach, the Kaanapali Ocean Inn offers beautifully appointed guestrooms in an unparalleled setting. Relax at one of the pools or walk just steps to the ocean for a dip in the warm blue waters of the Pacific. 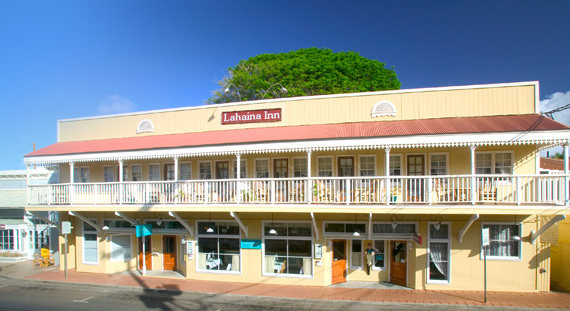 Located within the Kaanapali Beach Resort, the Inn is a short walk from Whaler's Village and is just three miles north of historic Lahaina Town with its historical points of interest, quality shops and galleries, world-class restaurants and exciting fun-filled night life. Kaanapali Ocean Inn guests enjoy access to all the amenities and services at our adjacent sister hotel, Royal Lahaina Resort. 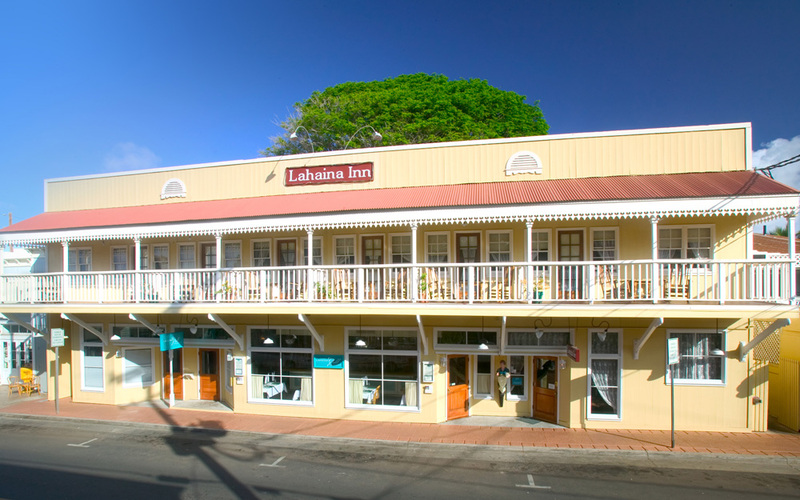 A landmark in Lahaina, the history of Lahaina Inn dates to 1938 when the original property was built. 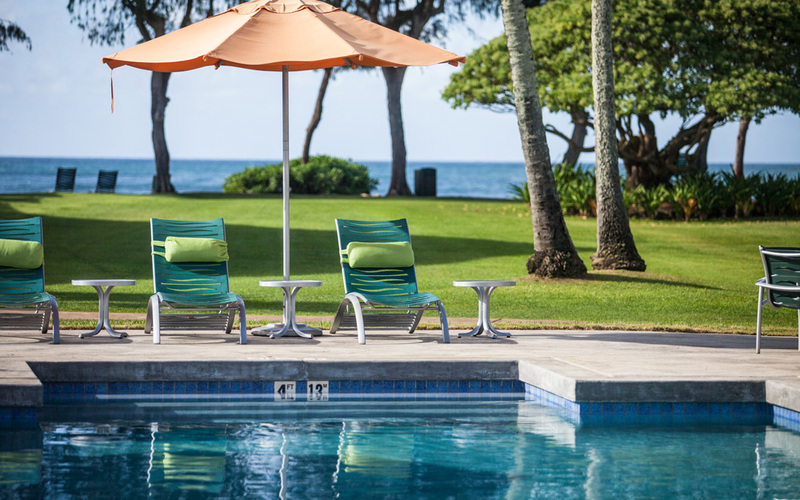 Capturing the history and spirit of Maui's early plantation days, the 12 guestrooms and suites are decorated with vintage furnishings while still offering modern conveniences. Enjoy plantation-style rocking chairs on your lanai, or walk to world-class dining, shopping, and activities. 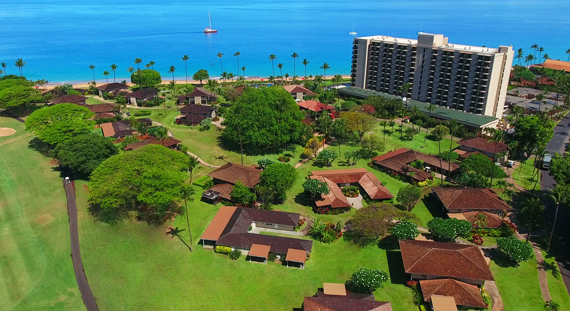 Guests of the Inn are welcome to enjoy all the resort amenities and services at sister hotel, Royal Lahaina Resort in nearby Kaanapali Resort.